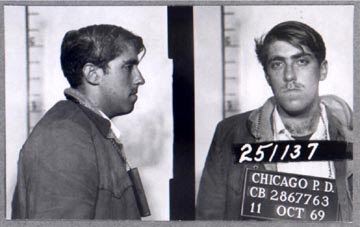 Former Weather Underground terrorist leader Mark Rudd has passed judgement on the merits of the Obama administration. So far he's reasonably happy. Now an Albequeque algebra teacher and member of the Democratic Party in New Mexico, Rudd is a cog in president Obama's mighty machine. More than that though, Mark Rudd is a leader of Movement for a Democratic Society (MDS)-a grouping of former Weather Underground leaders and senior Communist Party USA, Democratic Socialists of America and Committees of Correspondence for Democracy and Socialism activists-the backbone of the Obama movement. Several MDS leaders, including Bill Ayers, Bernardine Dorhn, Carl Davidson and Rashid Khalidi know Barack Obama personally. Several MDS leaders including Tom Hayden, Bill Fletcher jnr, Barbara Ehrenreich and Carl Davidson were involved in setting up Progressives for Obama-an organisation tasked with uniting the far left behind the Obama campaign and presidency. Rudd himself is a Progressives for Obama supporter alongside several other MDS activists-many of them socialists, communists or former terrorists. Mark Rudd briefly evaluted the Obama presidency in an interview with MDS board member, anarchist and former communist Thomas Good, in Next Left Notes-an MDS linked website. He mixes paranoia with astute observation and the occasional lie. Mark Rudd "knows" Obama and as a key part of the movement that elected the President his words have "cred". Tom Good: What do you think of Obama so far? Mark Rudd: I think he’s acted in an extremely predictable way, knowing what we already know about him. He’s cautious and strategic. He knows that there is no mandate yet for abrupt shifts to the left. I think he’s trying to work toward improvement on the economy, healthcare, education, and Israel. On Afghanistan, no. He knows that the biggest internal enemy is the military-industrial-security complex, and he’s not going to give them the excuse to organize to defeat him (as they defeated Kennedy). I know that the official left position is that JFK was a cold-warrior, no different from any others, but I’ve been reading “Brothers,” by David Talbot, a good journalist who makes a compelling case for the fact that the military and CIA loathed Kennedy and conspired to kill him. Since Obama isn’t a leftist (thank God), he’s not hampered by our prejudices. I’m sure he believes that Kennedy was killed by the military and CIA. JFK had zero control over both. They rarely carried out his orders. TG: What do you make of his appointments? MR: All terrible at the top level, except maybe Hillary Clinton, whom I’m expecting to win a Nobel prize for forcing the Israelis to accept a settlement. Who but the nation’s #1 shiksa, a certified lover of Israel, would the rightwing accept to force the settlement? That was a strategic appointment. All the others are strategic in the same way–giving the right the top positions. The trick is to look at the next level, where Podesta put center-leftists, predominantly. He learned from Cheney. Actually, the director of CIA, Minetta, a center-leftist, probably gave them conniptions. (A fit of violent emotion, such as anger or panic-New Zeal). TG: What is your view of the Ayers bashing that started with the election and is ongoing? MR: Obama has almost no chinks in his armor. The right has very few ways in, and they’re so stupid that they don’t realize that the Ayers business has zero traction outside their own circles. Don’t ever underestimate the far right’s utter stupidity. Rudd praises Obama's deceptive tactics. In an earlier assessment Rudd called this "feinting right, moving left"-appeasing the military while moving left on other issues. Try to appear moderate while filling your administration with second tier leftists from John Podesta's Center for American Progress-which is in turn closely to the ultra-left Institute for Policy Studies (IPS). 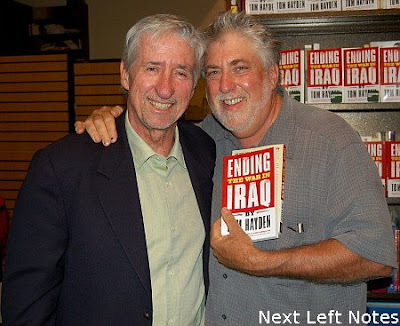 CIA director "center-leftist" Leon Panetta also has some history with IPS, as do several of Rudd's MDS comrades including Bill Ayers, Tom Hayden, Bill Fletcher Jnr, Barbara Ehrenreich, Manning Marable, Paul Buhle and Ethelbert Miller. Note Rudd's prescription for Israel-a forced settlement that will bring "peace". Using Hillary Clinton is "tactical"-a supposed friend of israel will be used to destroy Israel's capacity to defend itself. It seems that, so far at least, president Obama is living up to Mark Rudd's hopes and expectations. I keep telling you guys that you're overblowing MDS into something it isn't, but you won't listen to me. There's only one or two local chapters of it active. It doesn't meet anymore, and served mainly as an old class reunion for some folks who haven't been in touch for a long time, which is why you got all those smiling pix. But it serves you needs for some hidden conspiracy where you get to group all the scary names. So keep at it; it keeps you out of mischief elsewhere. So it's okay for a mainstream candidate to receive support from former terrorists? What if some Fascist party endorsed some mainstream candidate? You wouldn't want that mainstream candidate up in some high place wouldn't you? Looks like Carl is still policing the blogs. Why So Happy About Helen?